Appraisal and Marketing of Your Collection. We service all of Scotland and the North of England. When the time comes to consider the sale of your collection of stamps, coins, banknotes etc. Philatelink is here to help you; we will be delighted to advise you on every step of the way. The first step is appraisal of the collection giving it a careful search through to establish if there are any hidden gems worth selling as individual items. Most valuations are carried out at our office in Galashiels, where we have access to our library of reference books and catalogues and large database of information concerning recent auction realisation prices. Once we have examined and valued your collection, we will either write to you or discuss in person advising you of the estimated valuation and recommended best method(s) of sale. 4. A combination of options 1, 2 and 3 above. Often collector’s or property owners simply want a quick valuation and sale with immediate payment up front. This can be arranged subject to the overall value and saleability of the collection. However, we do strongly advise that you allow sufficient time for a full and proper valuation to be completed. This option is ideal if you have a collection of modern mint decimal stamps for sale, especially GB, Isle of Man, Guernsey, Alderney or Jersey. Other European and World Countries can be purchased as well. This sort of material generally has a fixed selling price and can be resold quickly at a small profit margin to people and businesses that require postage stamps for their letters and packages. By selecting this method you will definitely get the best price for your modern stamps as there are no auctioneers selling fees to be deducted. The key advantage of this method of sale is that you know exactly how much you will receive for your collection and there are no commission fees to pay. I found Dave very approachable and he provided honest and sensible advice on how I should go about selling my late father's stamp collection. He provides an excellent and trustworthy service. Highly recommended!" This is our main speciality and what sets us apart from many others in the trade. We recommend you choose this option to achieve the best financial return for any items of individual merit that you may have in your collection. By individual merit we mean any item with an estimated selling price of £20 and above. Currently we have over 36,000 online purchasing customers in the UK, Europe and Worldwide and the total keeps growing every day. This option is also good if you have items which are unusual, perhaps seldom seen and hence difficult to give an accurate valuation. Sometimes it is better to let the worldwide market determine the real value of an item. Please don't be fooled by catalogue prices as they are often very misleading giving unrealistic prices. For example I recently auctioned a lovely French miniature sheet which had a catalogue value of £375 and it realised only £47 on the world market as there are lots of them around and there is low demand. Internet selling really does give you massive selling power. Listed items can be searched for, seen and purchased by millions of potential buyers from all corners of the planet, not just those in the UK. Importantly our auctions are offered for sale on every eBay site in Europe, USA, Canada, Australia, Russia, Asia, Africa, plus Central and South America. It costs significantly more for us to do this but it does ensure that our clients get much more for their treasured collections. Also having an excellent feedback rating helps greatly. We are one of eBay’s ‘Top-rated Sellers’ which means that items I list get priority searching and buyers can trust our accurate descriptions, good reliability and proven track record of excellent customer service. Another great thing about Internet selling is that you can be emailed links to your items allowing you to watch each sale as it progresses through to completion. This means that you can share in the excitement of selling from your home and see the actual final bid price of each item sold. We have many regular clients who choose this method for selling their items. Left: This GB 1840 Penny Black (the first stamp ever to be issued) I recently sold for a client. It realised £102 on eBay. Penny Blacks can sell for anything ranging from £15 to £200 depending on condition and they are always very popular. This example has four lovely large margins. What does it cost? Our commission rate for selling items by internet auction on eBay is 25% of the final selling price, therefore on a sale of £100 you would receive £75. There are no hidden charges and all eBay listing and selling fees are included in our fee. The 25% commission rate applies to all items which sell for £10 and over, please note there is a higher commission rate, currently set at 35% for items which sell for less than £10. Lower value sales are less cost effective due to the time it takes to list an item then process the order after the sale has ended. It takes us on average around 15 minutes to list and process a single item and considerably more for multiple items which often require up to 24 images to be produced, either by scanner or digital camera. As stated above all of the eBay and Paypal listing and selling fees are included in our 25% commission rate. In reality this means that we only actually receive 12% (10% + VAT) for our services as eBay and Paypal claim the other 13%. For your money you get top quality images of every item, accurate detailed descriptions, regular communications, customer management, order processing, packing and posting for each sale. Importantly we will ensure that your items stand out from the crowd, attracting more bidders and achieving higher prices. The bespoke personal service we offer and low commission rate is extremely good value if you compare it to most leading auctioneers which can charge vendors anything from 15% to 20% commission plus VAT for their services. Also many auctioneers charge winning bidders a buyers a premium often as much as 15% to 20% on top of the hammer price. This surcharge can have a direct impact on the final price you receive as bidders tend to place lower maximum bids to account for the premium. It is also worth noting that items sold on internet into the world market can sell for considerably more (depending on the type of material) as they would if simply sold by public auction, especially large collections, which if broken down can have great potential. Therefore even with the 25% combined commission, selling via the internet into the world market place makes sound financial sense. We purchase around 70% of our stock from public auctions and even with the buyers premium we can still make a profit on the internet, although you do have to know what you are doing! I found Dave on the Yell website search under stamp dealers. After meeting Dave at his office it was apparent that he had the resource and knowledge to help me dispose of my stamp collection, we agreed that he would sell the stamps on my behalf on ebay, creating groups of stamps that would sell. I found Daves approach very open helpful and I was able to watch the actions online, after which Dave transferred the funds - minus commission - directly into my bank. Would I use him again - yes, would I recommend him to someone in a similar situation - absolutely!" Last year a client came to me with what he thought was a run of the mill low value collection. 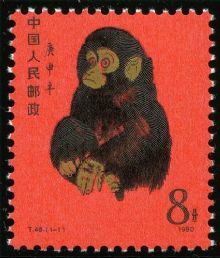 As I turned page after page I was forming a similar conclusion until I spotted this unusual 1980 Chinese ‘Year of the Monkey’ stamp (shown right) which was partly hidden in a page of used stamps. As I had not seen this interesting stamp before I enthusiastically opened my Stanley Gibbons China catalogue and to me great surprise I found that the stamp had a listed catalogue value of £1,600. My initial excitement was slightly dampened when on close inspection I found the stamp had some small black marks on the gummed side. I explained to my client that these marks would affect the eventual market value, but on a positive note, I still estimated the stamp to be worth between £400 and £500. I advised that best option for maximising the financial return would be to auction the stamp on internet, setting a low starting price. Often it is best to let the worldwide market decide the true value of an item. With millions of bidders out there they very seldom get it wrong. Selling Tip: From experience I find that setting low starting prices helps to generate much interest often triggering a bidding frenzy when desirable material is offered for sale. Some bidders are very competitive and don't like to be beaten once they have started. These days there are some very keen collectors in the Far East, Russia and USA and I am often pleasantly surprised with realisations achieved. In this case the low start strategy worked a treat as within a couple of hours many bids had been received (I noted good interest from China). Two days later the highest bid had risen to an encouraging £600, already above my UK estimate. 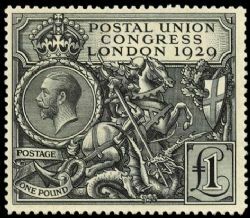 To my delight the stamp eventually sold 8 days later to a genuine collector in the USA for a resounding £1070. This example clearly demonstrates the power of internet selling and the excitement generated by good internet marketing and advertising. I would surprised if the stamp would have sold for any more than £500 in most UK public auctions. Incidentally the remainder of this collection was sold through a well-known Scottish stamp auction and made £30 which was £5 more than my client thought he might get and by contacting us for help me he made an extra £800 (selling price of £1070 less commission of 25%) into the bargain! Who know's perhaps you could be next in line for a similar success! This option is very good for collections with large numbers of items which have little individual value i.e. the value is in the sum of all the parts. Such collections will usually sell for more if kept intact. A good example would be a collection of ordinary post office first day covers which in today’s market might only be worth only 10p-20p each but a 1000 of them might realise £150-£250 at auction especially if they are stored in albums. It is simply not cost effect to split such a collection or worth spending anytime on it - so straight to auction it should go. 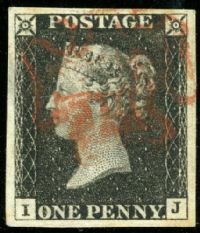 The same rule can be applied to most stamp collections which only contain used stamps, unless there are a few good pickings to be had. This is where my years of experience and expertise can help you. Another advantage of selling a collection by public auction is that potential buyers get a chance to carefully look at every item contained in the collection. This allows bidders to make a more accurate judgement on how much to bid. The downside with internet auctions is that you are limited by the number of images you can show to potential bidders. The maximum we can show is 24 which is not much good if your album has a 100 pages! This is why it is best to remove the better items first and put the remainder of the collection to public auction. Looking back on 2012 and all the people we have helped it is this option which has suited most clients. Generally our clients have been more than happy to leave their collections allowing us full control on how best to sell their property and trusting that we will achieve the maximum financial return for them. More often than not it has been a combination of options 1 to 3 that have been used. We generally pay clients in stages as each part of their collection is sold off. Normally payment is made by direct back transfer on a weekly, monthly or ad-hoc basis, whatever is best for the client. 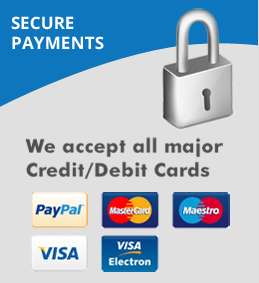 We can also pay by cash, cheque or via Paypal. Simply book an appointment by calling or sending an email and bring your collection along for a free appraisal. We will discuss your collection with you and decide how best to carry out the valuation. Home visits may be possible for large and valuable collections, whether in this country or abroad. For stamps and covers, coins, banknotes, postcards, cigarette cards, medals, die-cast toys, old photographic equipment or anything else which is collectable, please contact US by phone on 01896 759703, mobile 07510 312271 or drop an email to thebestdeals@aol.com or philatelink@btinternet.com. Act now! Get an expert you can trust on your side! Q. How do I know whether or not my collection has any value? A. This is very difficult for an amateur or non-collector. It’s best to ring us on 01896 759703 or 07510 312271. We will ask the necessary questions which will give me an idea as to the likely value of the collection and how best to proceed with the valuation of it. Q. How long will it take to value my collection? A. All properties are placed in a queue and the waiting time varies depending on how many properties are in that queue. On average it takes 1 to 2 weeks for a full valuation, but exceptions can be made if there is a degree of urgency associated with your collection. Q. If I don’t agree with your valuation how do I get my collection back? A. There is absolutely no obligation or pressure on you to accept my valuation and no fee if you decline it. However, we would ask you to pay for return carriage costs or come to my office and collect the property from my premises. If I return a box by carrier the cost is usually of the order of £10 - £15 per box, irrespective of weight. Q. Do I need to make a list of everything I have? A. No, this is not necessary. I will look at everything and keep a breakdown of his valuation whenever this is a necessary part of the selling process. Q. How can I know that everything has been looked at when I’m not present to point things out? A. I have years of experience in assessing collections; I do this every day of my working live and it would be most unusual if I were to miss anything. However, if there is a particular item(s) which you wish to bring to my attention, by all means telephone or send an email. Q. The collection is inherited and I have no idea what it contains, how can I trust Philatelink? A. A degree of trust has to be accepted between the client and us. We have been trading for many years and have over 20 years experience. We have a positive feedback rating of over 408000 on eBay and are pleased to say not a single negative comment in over four years. Customers and clients have also left positive feedback on Yell.com. We are full members of the Philatelic Traders Society (PTS) and the Scottish Philatelic Trade Association. We are bound by their codes of conduct and good business ethics. Q. Will my collection be insured? A. Yes, once the collection has been valued it will be insured free of charge. Whilst in transit to us by carrier, which we have arranged, or by Special Delivery in the post, we can take out additional cover, again free of charge, over and above that provided by the carrier. It is necessary for the owner of the property to tell us the figure they want the collection insured for. If the owner has no idea of value the maximum figure we can insure a property for is £500. This insured amount would continue to be used until the property is fully assessed. Free insurance cover of your property ends when it leaves our premises. Q. Can you visit me in my home? A. Yes, we can. If your collection is sufficiently valuable I will visit anywhere in the UK to briefly inspect it, pack it up, give you a receipt and bring it back for my precise valuation. Please ring us on 01896 759703 or 07510 312271 to discuss the possibilities. Q. Is it better to wait for the market to improve before selling? A. No-one can accurately predict the likely state of the market in the future. Most of the collectables I sell have enjoyed a very stable market for many years. Q. I am disabled and unable to pack up the collection, what can I do? A. If your collection is sufficiently valuable we can pack your collection into boxes, give you a receipt for it and bring it back to my premises for valuation. If your collection is of more modest value I can still visit you but it might involve a slight delay until we have other visits requested in the same area. Q. What are the charges? A. If a direct sale is recommended, there is no charge and you get the full valuation figure. The charges for sale on eBay are 25% of the final selling price for items realising £20 and over and 30% for items realising less than £20 (These fees include all eBay and PayPal selling fees which average 13%). If we put a collection into public auction on your behalf we charge 12% of the hammer price. All of these charges include VAT. Q. Are your customers, dealers or collectors and how wide is your customer base? A. We sell to both dealers and collectors. Our customer base is worldwide with over 60,000 individuals to date and this is growing every day. The power of the internet gives access to millions of potential new customers all over the world. Q. Is there a minimum property value you will accept for sale? A. We like properties going to be worth at least £50, because of the overheads involved in selling. Q. If I accept your valuation, what happens next? A. Simply send me an email to confirm acceptance and we will do the rest. A cheque for a sale will be with you in a matter of days. eBay auction property will be described and listed with hyperlinks provided so that you can watch each sale progress to the end in real time. Q. How long after an Internet sale will I be paid? A. Usually within 30 days of sale, so long as the purchaser has completed payment and is happy with the goods..
Q. How do I receive payment? A. Settlement is usually by bank cheque in sterling. Other methods are possible, but any charges incurred would be debited to your account.